Mexico, Latin America's second-largest economy behind Brazil, is gaining steam as an investment option for foreign investors. 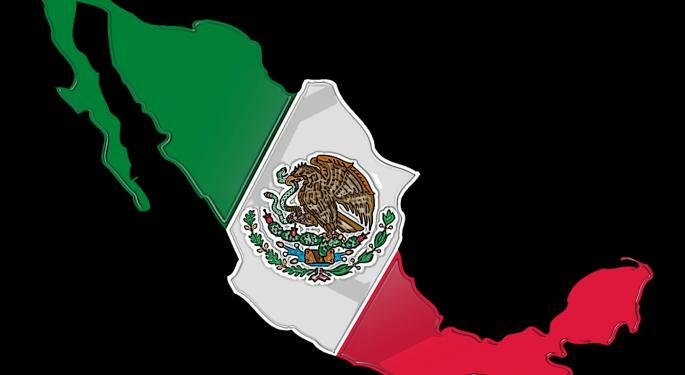 The iShares MSCI Mexico Investable Market Index Fund (NYSE: EWW) jumped almost 17 percent year-to-date and Mexican equities surged following the July election of Enrique Peña Nieto as President. Even prior to Nieto's election, some noteworthy investors spoke bullishly on Mexico. In June, PIMCO's Bill Gross spoke favorably about Mexican sovereign debt. Nomura said in a research note earlier this week that Mexico could surpass Brazil as Latin America's largest economy by 2022. Mexico has another noteworthy supporter: Mark Mobius, executive chairman of Templeton Emerging Markets Group. Acknowledging that time will tell if Nieto's Institutional Revolutionary Party (PRI) has really changed its ways, Mobius wrote, "the election [and the fallout afterward] has proven that Mexico's people seem hungry for change." Nieto, who is slated to take office in December, ran a platform of change that promised business and tax reforms aimed at bolstering Mexico's economy and eradicating the country's massive poverty burden. "In my view, the key reforms Mexico needs to improve its global competitiveness and strengthen its economy are the proposed fiscal, labor and energy reforms," wrote Mobius on his blog. "The fiscal reforms aim to increase government revenues to improve Mexico's infrastructure, facilitate investment, provide quality services and foster economic growth. The plan to achieve this goal is to lower taxes and broaden the taxpayer base." EWW, the lone Mexico-specific ETF, would clearly benefit from substantive reforms to the Mexican economy. Consumer staples, telecom and materials names combine for about 72 percent of the $1.2 billion ETF's weight. Mobius does note that Mexico's intimate ties to the U.S. can be a "double-edged sword." "Mexico exports some 80% of all its products to the U.S. and is its largest oil supplier, so the Mexican economy benefits from increasing U.S. demand. On the flip side, however, when the U.S. suffers economic downturns, Mexico tends to suffer in tandem. The 2008 – 2009 U.S. financial market crisis had a ripple effect on Mexico's economy, causing its GDP to sink more than 6% in 2009, the worst contraction there in decades," he wrote. If Nieto is successful in implementing policy measures that lift Mexico's domestic economy while tempering poverty, Mexican small-caps could benefit. That could be a boon for the Market Vectors LatAm Small-Cap Index ETF (NYSE: LATM), which allocates 15.3 percent of its weight to Mexico. LATM has jumped 5.6 percent in the past month. Mobius also likes Mexico's consumer story. "Consumer staples, banking and telecommunications are areas of interest, and we think increased privatization and foreign investment should increase their attractiveness," Mobius wrote. Other ETFs with Mexico exposure have performed well since Nieto's victory. The iShares S&P Latin America 40 Index Fund (NYSE: ILF), which allocates 28.1 percent of its weight to Mexico traded up about four percent since July 2. The SPDR S&P Emerging Latin America ETF (NYSE: GML) has a 25.3 percent allocation to Mexico and also gained about four percent since July 2. Bond investors may also find Mexico alluring. 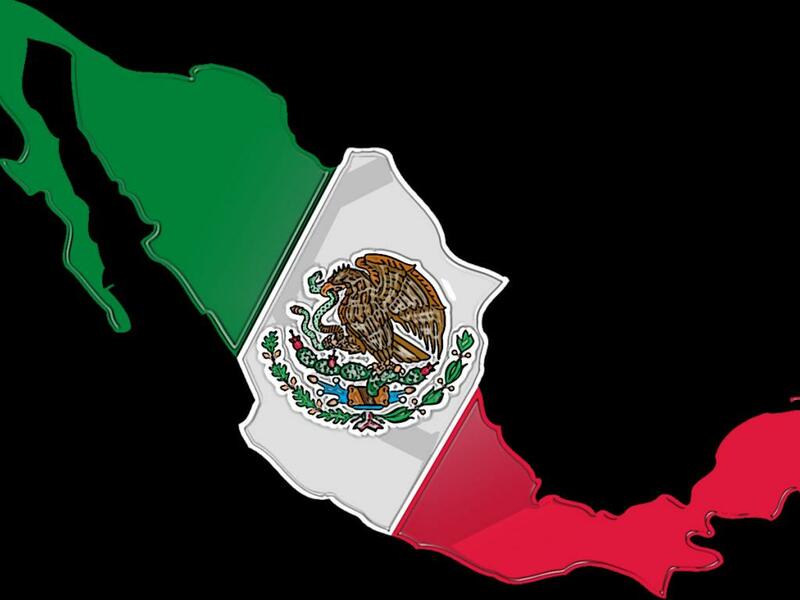 Gross and ETF issuer WisdomTree have recently made bullish comments about Mexican sovereigns. The Market Vectors Emerging Markets Local Currency Bond ETF (NYSE: EMLC), which has a 30-day SEC yield of 5.14 percent, has a 10 percent weight to Mexico. The WisdomTree Emerging Markets Local Debt ETF (NYSE: ELD) allocates 10.4 percent of its weight to Mexico. ELD, the second-largest actively managed ETF, has a 30-day SEC yield of almost four percent. For more on Mexico, click here.